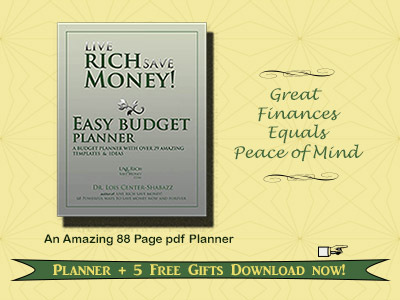 Saving money is not that difficult, as many of you think. 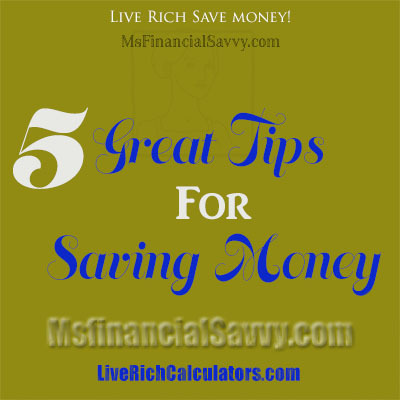 In fact, for most of you saving money is very easy, the problem is, you are not aware of your options when it comes to various vehicles of savings. Here is a quick list of five savings vehicles. will take 39 years to pay off the loan. And you will pay more than $10,000 in interest charges. You can pay off that card early by adding an extra $30 to $100 a month to principle only, and avoid thousands of dollars in interest. The largest asset most middle-income families have is their home equity. Once you have made your last mortgage payment, you have far lower housing expenses, since your monthly payment can be one of your highest cost. You also have an asset that can be borrowed on in emergency or converted into cash through the sale of your home. Borrowing against your home turns it from an asset to a liability again, which I do not recommend. Even when the home is paid off, you will still have to pay taxes, utilities and maintenance cost. will have tax-free savings and retirement for the future. A savings account will provide funds for emergencies, home purchase, school tuition, or even retirement. Almost all banking institutions will, on request, automatically do a monthly transfer of funds from your checking account to your savings account, in the form of a U.S. savings bond, mutual fund, certificate of deposit, or money market account. 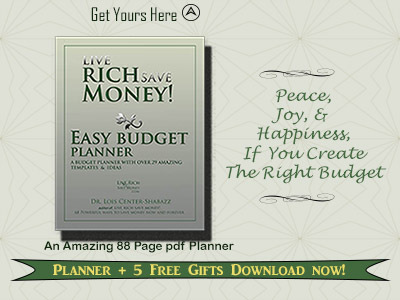 You have a whole host of options for savings. What you don’t see, you probably won’t miss. If you choose the right mutual funds you can increase your wealth substantially over the years. Some mutual funds have horribly high cost and use high risk financial sources to fund them. Learn how to evaluate low risk, low cost mutual funds as a means of investing. There are low cost low risk mutual funds that average 3% – 9% interest, and everything in-between, see fidelity mutual funds. Understand how to research mutual funds with this easy to use eBook, Learn Investing., and understand how to choose a mutual fund through research.